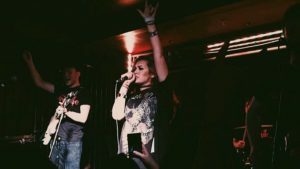 Wirral YouTube star Bronnie Hughes has been announced as the support act for chart-toppers, Little Mix, when they bring their tour to the peninsula in May. 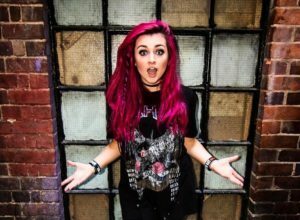 Bronnie, 19, will perform at Tranmere Rovers’ stadium, Prenton Park, on Sunday May 21st as part of the Wirral Live weekend of events. When asked how it feels to be supporting such a massive act in her local area, Bronnie said: “It means the world to me. I am a workaholic and totally dedicated to my music, and my goal is to be playing my music at big shows in stadiums and arenas so to get the opportunity to play to up to 20,000 at this stage of my career is a dream. The singer won an international cover song competition led by American Idol host, Ryan Seacrest, over YouTube for international exposure in October 2014. Bronnie was the only non-American entrant and her song attracted the attention of One Direction member, Louis Tomlinson, who encouraged his Twitter followers to vote for her. She has since graduated from LIPA, where she told JMU Journalism of her studies: “LIPA is incredible, I learned so much in my time there and the contacts I made have become so important in my career. Bronnie is currently on tour with Harvey and will continue to travel the country performing after a well-deserved week off. The singer is currently focused on writing more songs as well as working on an EP which will be released over the next few months.